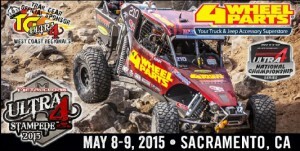 Browsing articles tagged with " metalcloak"
Compton, California (May 7, 2015) – Team 4 Wheel Parts (T4WP) will be in Sacramento, California this weekend when Ultra4 action returns to the Prairie City SRVA Park May 8-9 for the MetalCloak Stampede. Greg Adler, Brent Goegebuer and Kevin Adler will take on over 100 of the country’s toughest off-road racers on a unique, two-mile course featuring technical rock crawling, high-flying jumps and high speed open racing that has become the signature of Ultra4 competition. 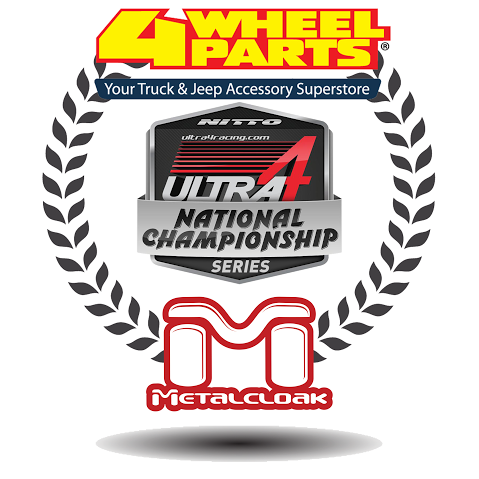 While Greg Adler and Goegebuer will be contesting for the Ultra4 Unlimited Class title, Kevin Adler will be competing in the stock vehicle class, pitting factory 4x4s with limited modifications on the same challenging course. 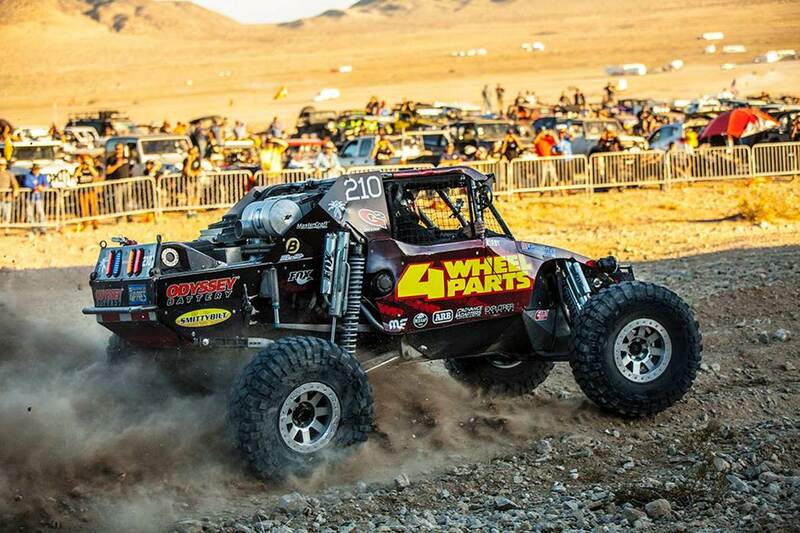 The Team’s participation in the event coincides with the expansion of 4 Wheel Parts’ corporate partnership with Ultra4 Racing which now extends beyond the support of the annual King of the Hammers event and includes sponsorship of the yearlong series. King of the Hammers, the organization’s marquee event, witnessed record crowds and this weekend’s race, the second of the season, is expected to attract a large audience to the spectator-friendly venue. 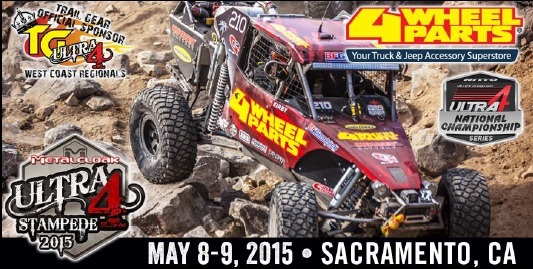 With thousands of spectators anticipated to descend upon Prairie City for this exciting weekend in Sacramento, the MetalCloak Stampede is expected to be one of the largest regional Ultra4 events ever. 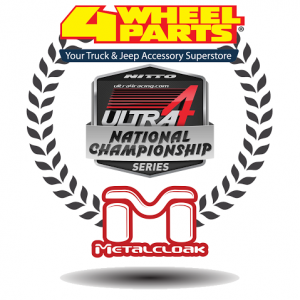 4 Wheel Parts is the global leader in truck, Jeep, SUV and off-road aftermarket performance products. With 69 locations across the U.S. and Canada and growing, 4 Wheel Parts Service Centers install all the products they sell. Maintaining the nation’s largest inventory of BFGoodrich tires, wheels and lift kits, 4 Wheel Parts serves customers across the country and around the globe. Life is Better Off-Road™. Visit them at 4wheelparts.com or call toll-free 877-474-4821.